After its launch in Meribel last weekend, Ibiza Rocks The Snow returns to take over the town again for round two in February (8-15th) and coming along for the ride is Radio 1’s Toddla T. Signed to Southern Fried Records and a popular act in dance music right now, Maribou State will also be making music on Meribel’s mountain top. Black Butter Records’ live collective The Other Tribe will paint the town neon alongside label mates DEVolution whilst Danny Beck will be on board to keep the beats coming with the help of the Ibiza Rocks Resident DJ crew. Week 1 welcomed eccentric quartet Clean Bandit to play the first ever Ibiza Rocks the Snow live gig whilst Radio 1’s Mistajam plus Monki and Mele put W.A.R! on the map in Meribel. As well as the signature Ibiza Rocks live gig and W.A.R! 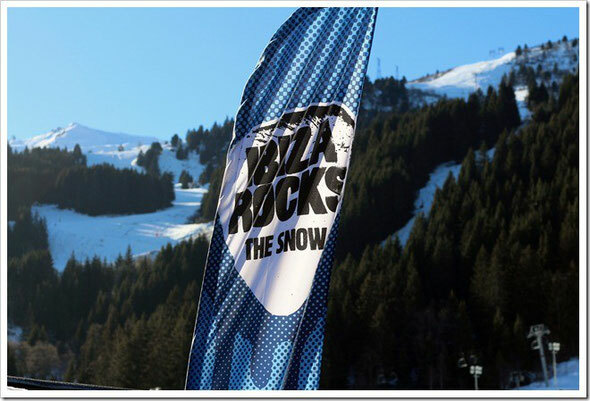 events during the week, Ibiza Rocks the Snow provides the soundtrack to daily après ski! Seven nights to ski by day and party by night.